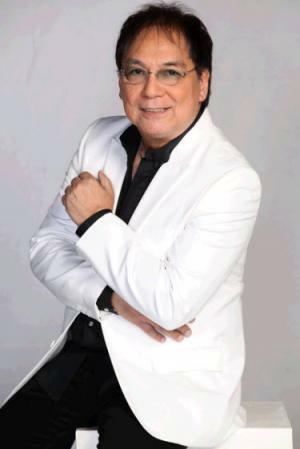 Jose Maria Ramos de Leon, Jr. was born on 14 October 1946, in Binondo, Manila, Philippines, of part-Spanish descent, and is an actor, comedian, and television presenter, best known for being one of the hosts of “Eat Bulaga!”, a noontime variety show He is also Joey of the comedy trio Tito, Vic, and Joey, and has appeared in numerous films. All of his efforts have helped put his net worth to where it is today. How rich is Joey de Leon? As of early-2017, sources inform us of a net worth that is at $20 million, earned through a successful career in his various endeavors. He has been part of numerous television shows, and has penned several songs too, including “Ipagpatawad Mo” and “Awitin Mo, Isasayaw Ko”. All these achievements have helped ensure the position of his wealth. At a young age, Joey’s parents divorced. He studied architecture at the National University in Manila, but would then start his entertainment career as a disc jockey. He worked at around a dozen radio stations before broadening his career in entertainment. He was an announcer for all stations of the ABS-CBN Corporation, as well as other stations. His first television break was on the gag show “OK Lang”. In 1975, he was invited to become the co-host of the variety show “Discorama”, and in turn he co-opted his former co-stars at “OK Lang”, Tito and Vic The trio would then do comedy segments in the shows as well as song parodies, and eventually they would release songs and albums based on their segments. They then became part of the sitcom “Iskul Bukol” which would earn them popularity as comedians and increase their net worth significantly. They were invited to be the host of the noontime show “Eat Bulaga!”, plus being offered numerous other projects. “Eat Bulaga” has since become the longest running television show in the Philippines. While the trio continued to work together, Joey was also given solo projects. He was a part of the sitcom “Joey and Son” in which he played father to a young boy played by Ian Veneracion. He was also a gag performer in “TODAS’. Other television shows he was a part of include “Let’s Go Crazy”, “Apple Pie”, and “Patis”, but he did film projects during this time too. In the 1990s, he was a part of “Bangers”, “Pipti-pipti”, and “Takot ako sa Darling Ko”. Then, “Eat Bulaga’s” popularity has led Joey to make appearances in other shows, including “Startalk”, “Mel and Joey”, and “Wow Mali”. He also wrote an entertainment column for the Manila Bulletin, and is a judge of the reality series “StarStruck”. His net worth continued to climb. In 2006, de Leon returned to songwriting in releasing “Itaktak Mo”, which was an answer to rival host song “Boom Tarat Tarat”. The song would become widely popular, being requested on radio stations throughout the following year, so this led him to create more songs such as “Kagat Labi”, “Walang Daya”, and “Ba ba Boom”. In 2008, he resigned from the Manila Bulletin and now writes with The Philippine Star. For his personal life, it is known that Joey has been married twice, firstly to actress Daria Ramirez and they had two children. His second wife is Eileen Macapagal (m. 1982) and they have three children. He also has four grandchildren. Music Groups VST & Co., VST & Co.
Romeo Loves Juliet... But Their Families Hate Each Other! 1989 Romeo Sr.
Love Is Blind 2016/I lyrics: "Ikaw lang ang aking mahal" / music: "Ikaw lang ang aking mahal"
ÜnOfficially Yours 2012 lyrics: "Ikaw ang Aking Mahal"
Praybeyt Benjamin 2011 writer: "Ilagay Mo Kid"
Urduja 2008 lyrics: "Babae Ako"
The Best of Me, Regine Velasquez: A Birthday Special 2008 TV Movie documentary lyrics: "Babae Ako"
Txt 2006 lyrics: "Ikaw Lang Ang Aking Mahal"
All About Love 2006 writer: "Ikaw Lang Ang Aking Mahal"
Ispiritista: Itay, may moomoo 2005 lyrics: "Yan Ako Tayo"
Bikini Open 2005 lyrics: "Awitin Mo, At Isasayaw Ko"
I Will Survive 2004 lyrics: "Awitin Mo... Isasayaw Ko"
Videoke King 2002 lyrics: "Ang Boyfriend Kong Baduy"
Ayos na... ang kasunod 2000 lyrics: "Sa Akin ay Naloloka"
Isusumbong kita sa tatay ko 1999 lyrics: "Awitin Mo, Isasayaw Ko"
Kung ayaw mo, huwag mo! 1998 lyrics: "TL Ako Sa Iyo"
Hotdog 1990 performer: "How Much Is That Doggie in the Window?" I Have Three Hands 1985 lyrics: "Maid in the Philippines"
Ang pagbabalik ni Leon Guerrero 1980 performer: "Leon Guerrero"
Kampus? 1978 writer: "Pag-ibig Pinoy"